On Sunday, 16th September 2018, a five man delegate of the Lifeline Charity Network (LCNetwork) visited the duo of Musa Sulaiman Oladimeji and Muhammad Jamiu at the University of Ilorin Teaching Hospital (UITH), and Zango area, Ilorin respectively. The five-man delegation arrived at the former’s ward at UITH Ilorin, around 11:40am. After staying with him for some minutes, we put a video call through to the Naturopath Doctor around 12:00pm which lasted for about 23 minutes. While explaining his predicament to the Naturopath Doctor, he told him that the ailment started from kidney cancer which was operated last year, and later resulted in tumour. 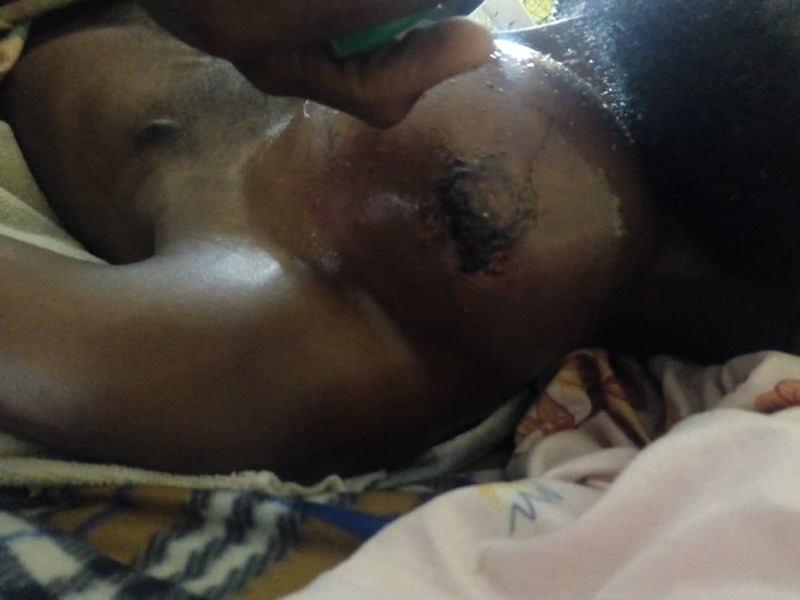 Furthermore, he stated that the doctors advised against operation due to the location of the tumour, as they insisted that it’s very risky since it's connected to the jugular vein which supplies blood to the brain. On the Sunitinib tablet which he was recommended to him after series of tests and diagnosis, he said that there’s been no notable improvement so far. He also noted that his two legs aren’t functioning properly. The Naturopath doctor in his response, emphasised that from his discussion with the patient, there’s solution to the tumour, and that he (alongside his team members) will chart a natural treatment plan for him, when they return to Nigeria by the end of September. On hearing this, he told us that the two weeks was too far because he's been undergoing a severe pain, which’s aggravating on a daily basis. In the meantime, the Doctor advised him to get an air bed to reduce the pain. After the visit, we took some pictures of the tumour, drugs and some other areas as requested by the Doctor. We left his ward around 1:20pm. As soon as we left his ward, we went to visit another patient (Ismail Abiodun) who's a cousin to a member of LCNetwork, we were told that he’s been admitted to the hospital for about 3 months and some days. His father whom we interviewed said that Ismail has problem with his spinal cord which needs to be operated. “Suddenly he couldn't walk and feel anything in his legs, so he was rushed from Abuja to Ilorin. He was first admitted to a private hospital due to strike by health workers then, but there was no improvement until he was later moved to UITH. After series of tests and treatments, and after taken some of the prescribed drugs at UITH he could feel his legs again now. 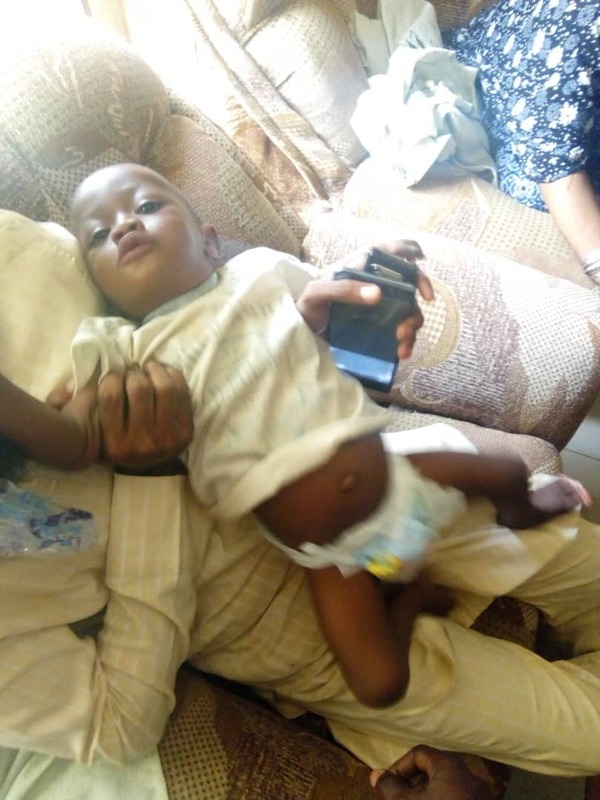 We have spent some amount of money on drugs and we were told that he's going to be operated with a machine which costs about ₦270,000 excluding other miscellaneous expenses and some of the drugs he'd be needing after the operation. The estimated amount of money we need now is about ₦400,000 and any assistance from your organisation would be greatly appreciated." We took a video along with pictures of some documents. Details of this would be shared later God willing. Finally, we got to AbdulRahman Muhammad Jamiu's residence around 2:20pm and were honourably welcomed. We informed his Mother about our latest findings and consultation with Nigerian based hospitals. She was happy with the development, and prayed that God rewards all those who’ve contributed immensely to see that her son becomes hale and hearty. On her part, she informed us that the total donation received so far was about Two million, Three Hundred and Fifty-four Thousand Naira (₦2,354,000:00). What this means is that about Six Hundred and Forty-six Thousand Naira (₦646,000) was needed now to reach the Three Million Naira target. 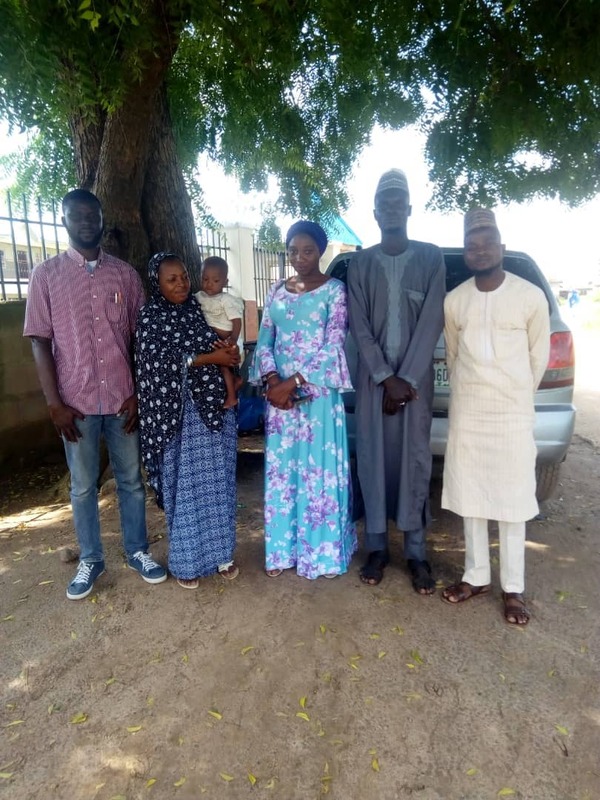 Afterwards, we took group pictures with Muhammed Jamiu and his mother. 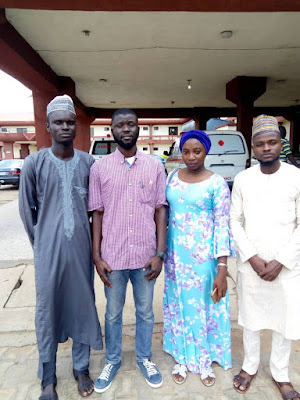 Members of the Lifeline Charity Network who made the visit include Anis Rabiu, Muhammed Abdulkabir, AbdulGaniy Shehu, Sa'ad Hassan Taiye, and Owolabi Ruqayah. We beseech the Almighty to heal and give the sick quick recovery, and May He not afflicts us with any form of ailment or calamity. May He reward us all abundantly. Amen.